Obviously, confetti cannons add excitement to birthdays and make New Year’s Eve more festive. 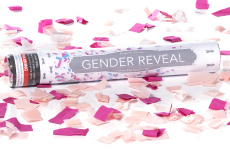 But they are also fun and original additions to a Gender Reveal Party! 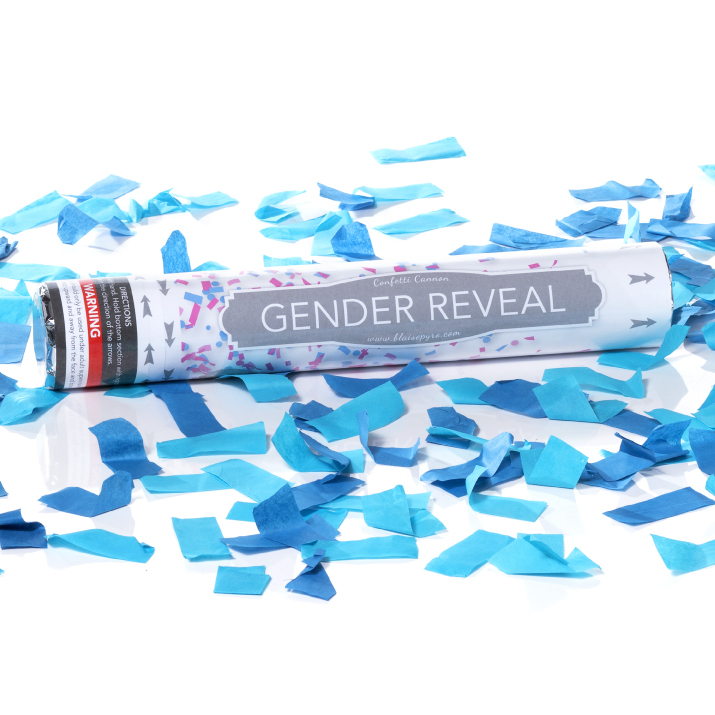 It’s heartwarming and enjoyable announce the gender of a soon-to-be member of the family with friends and loved ones present, and confetti cannons add excitement. Today, many baby showers include both men and women. Imagine attending a shower when the gender of the baby is still a secret. 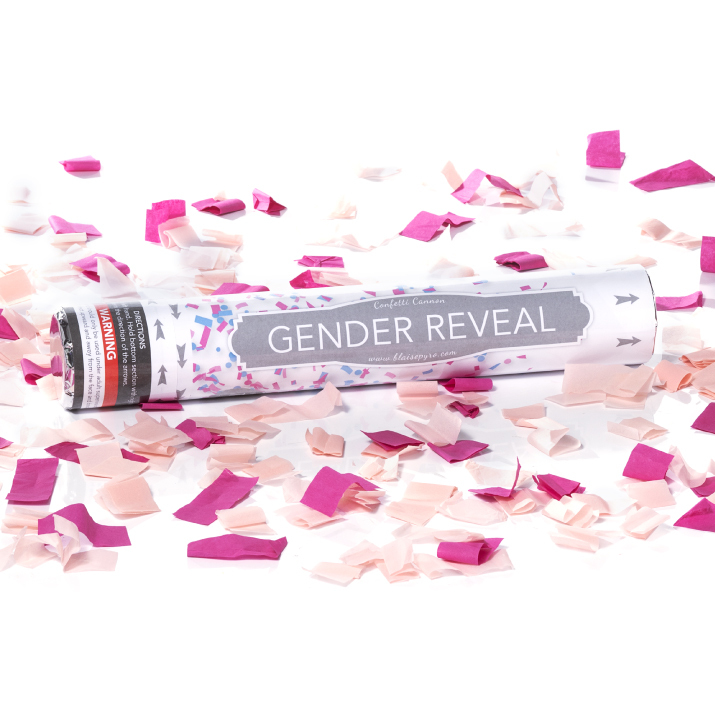 At a certain point in the games and celebration, it’s announced that the gender of the baby will be revealed with a pink or blue burst of confetti! This is an exciting way to share the news and it’s sure to be a hit at any baby shower. 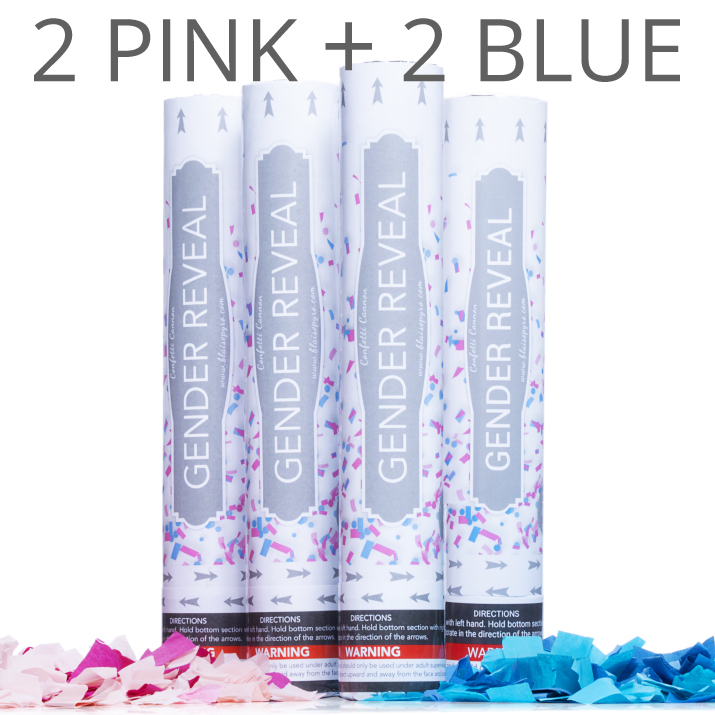 Our gender reveal confetti cannon set comes with four canisters, two in pink and two in blue. They are generically marked so you can not see in plain site which one is pink and which is blue. We’ll send special directions that will allow you to tell them apart. 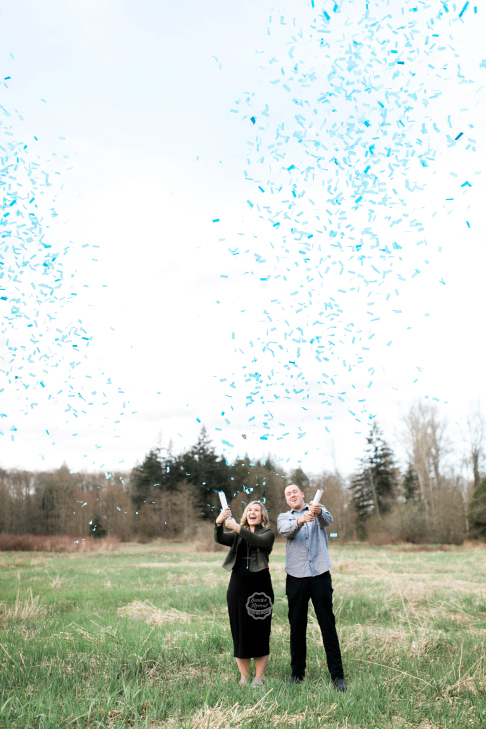 Guests will not only be surprised at the gender, they’ll also be wowed by the striking and beautiful burst of confetti. 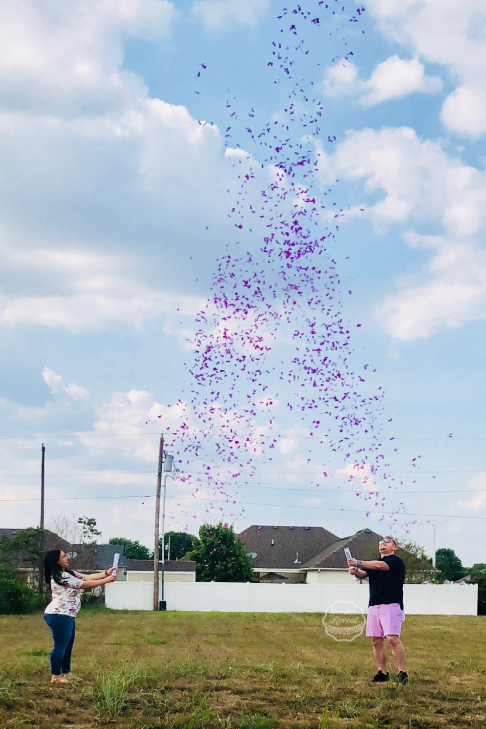 Our pink and blue confetti cannons are easy to use and they shoot biodegradable confetti up to 15 feet in the air. A cloud of pink or blue tissue paper fills the air when they are popped, and the 12-inch canisters are easy to use. They’re only 2 inches in diameter and can be held with one hand while you use the other hand to simply twist the bottom. For safety and best results, be sure and aim straight up when popping them. The confetti cannons are made with compressed air and have no combustible materials. They can be used indoors or outside and are completely smoke-free. 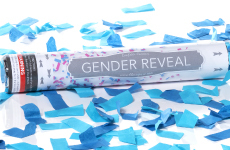 Make your gender reveal party the one they talk about for months with these festive and exciting accessories!